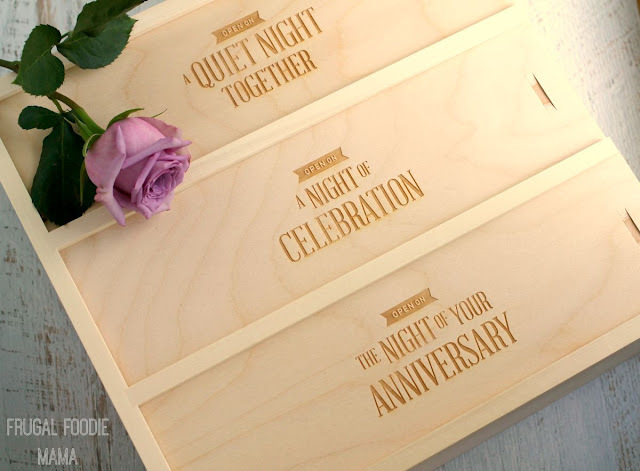 Looking for a unique wedding or anniversary present for the wine loving couple in your life? 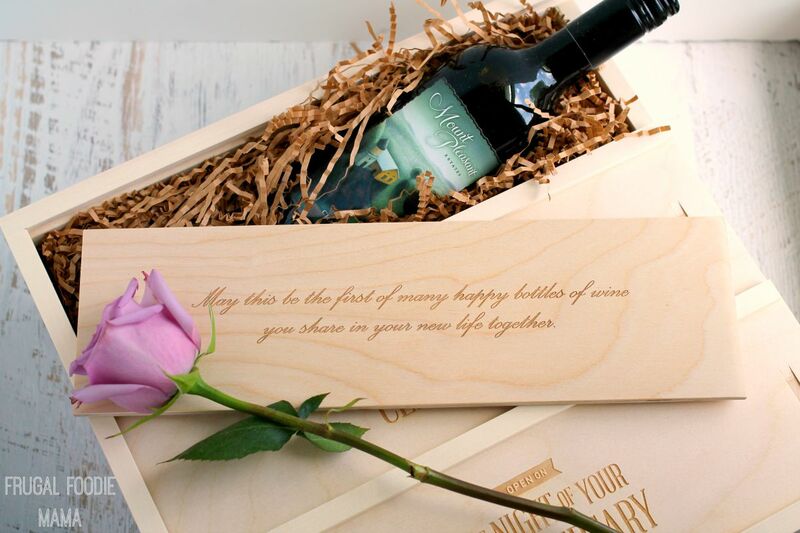 Create a personalized, handcrafted WineforaWedding box for them! While I was provided with a wine box to review, all opinions expressed below are my own. Summertime is definitely king of the wedding season, but did you know that 15% of all weddings in the United States last year happened in September? (Source: The Knot) That ties it with June as one of the two most popular months of the year for couples to get married! So that means that quite a few of us have upcoming weddings we are planning on attending in the next couple of months, myself included. Since my sister and her fiance fall into the established household/they have everything they need category, I was thrilled to learn about WineforaWedding! They are both HUGE red wine lovers, often traveling to different wineries and wine festivals each year. The ordering process was very simple- the hardest part being how to decide on personal messages for the inside of each lid. 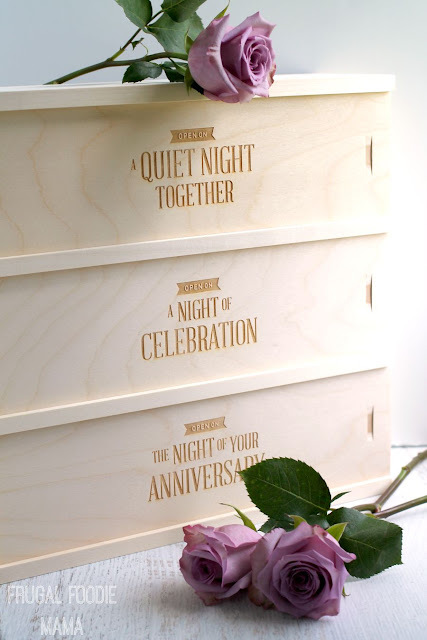 ;) You simply select a handcrafted, engraved box from their many choices (they have boxes perfect for weddings or as anniversary gifts), add a wine package (WineforaWedding offers a variety of white or red wine packages that you can add on for an additional fee, or simply fill the box with the couple's favorite wines when you receive it), personalize it, place your order, and it will arrive at your door within two weeks. I was pleasantly surprised with just how easy the entire ordering process was. For reference, I ordered the Three Nights box so they could enjoy all three bottles of wine throughout their first year of marriage. I also added the Mount Pleasant Reds (1st/3rd/5th) to make the wedding gift-giving super easy for me. But I do love that you can just order a customized wine box without the wine so you are free to add the couple's favorite varietals yourself. The boxes are handcrafted and engraved when you order them- they do not come off of a shelf. The boxes are American made in High Ridge, Missouri. They plant a tree for every wine box that they sell. 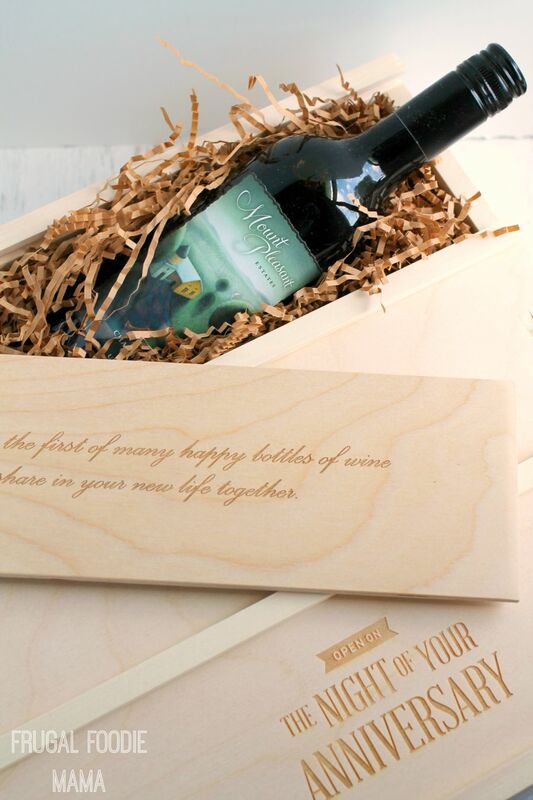 Want to win a WineforaWedding box of your choice?? Head over to my Instagram now to find out how to get entered! But hurry- the giveaway ends at 9PM EST Sunday, August 2, 2015!